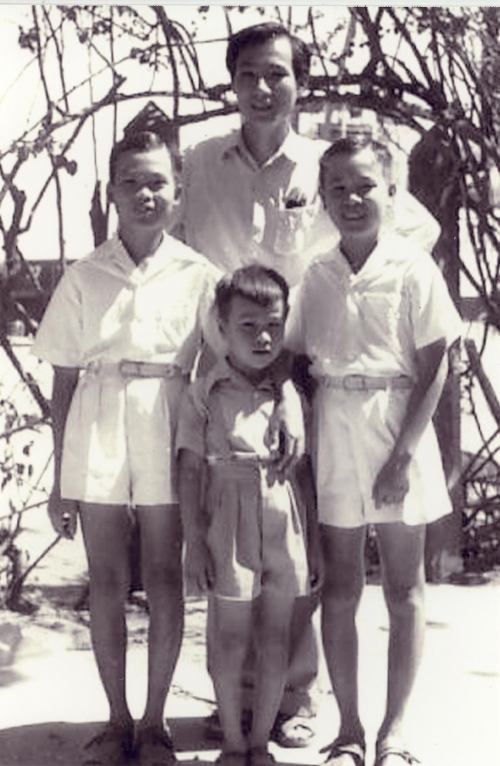 Today I’m thrilled to plug this new blog that’s truly a labor of love by my father and his younger brother, Chú Phán. 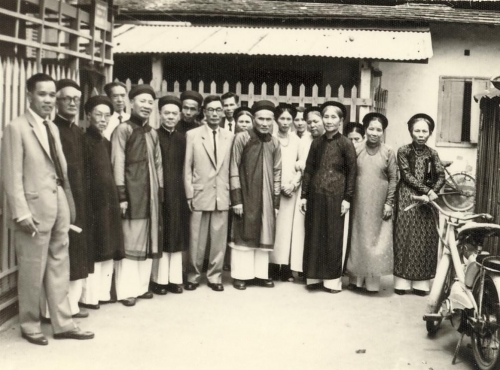 It is a tribute to my grandfather Ðàm Duy Tạo (my Ông nội) who spent a lifetime studying, translating, annotating, and recording among several other works of literature, The Tale of Kim-Vân-Kiều (or simply Truyện Kiều to the Vietnamese). Truyện Kiều is a poem of 3,254 verses written by Nguyen Du in chữ Nôm, a demotic written script based on Chinese characters used mostly by the Vietnamese erudite circle to record literature and long made obsolete by quốc ngữ, our present Latin-based script. This masterpiece showcases Vietnamese poetry and Asian culture in their many layers of complexity. It spins a spellbinding tale of operatic proportions about the tragic life of a beautiful woman who sacrifices herself for her family under the Ming dynasty in China. In the shadows of the lyrical verses, morality, politics, love, obligation, and judgment play out through the colorful characters. In fact, this work is so epic it has defined many generations of readers, and to this day you can still find any random Vietnamese who can recite a few verses from memory. It has been annotated several times but none to the satisfaction of my grandfather. What is it that they say…if you want something done correctly, do it yourself? The blog publishes my grandfather’s annotation and interpretation of the entire poem as well as his anecdotes and explanations of every single verse. So 21 years after his death, the 570 typewritten pages that also include his own handwritten scripts are now converted to PDF by his sons and lovingly recorded via a blog so that generations of Vietnamese readers and scholars around the world can and will continue to learn from the extraordinary work of one unassuming man whose two loves were family and letters. I can’t even come close to the brain trust that is my paternal family’s legacy, but clearly, his two loves also course through my veins. Since his death in 1988, my visual memories of him have become increasingly myopic. When I tearfully read the emotional introduction to their blog, I finally got to see my grandfather clearly. And possibly for the first time, I understood my father not from the point of view of the adult that I’ve become but that of the child that he once was. In the few words where my father and uncle vividly recall how desperately they missed their mother when the family was temporarily separated for two years and how great the shortlived reunion was until her sudden death, I felt the profound loss that in many ways shaped their lives. I’d like to share some of the stories recounted at their blog. If you can read their blog in Vietnamese, some of this might be repetitive, but bear with me. I think it’s a story worth hearing. Ông Nội, now entering his 6th decade, was left to face single parenthood for the second time with children ranging from 7 to adult age. But by now, he was most likely used to the difficulties in life. A scholar at heart and educator by vocation, he had raised his own as well as an extended family on a shoe string budget but also a wealth of knowledge. I can only imagine the heartbreak he must have felt when, in the politically troubled years of 1945-50, he had to return to a pastoral village to tend to the family farm. How does a man of letters even farm? And how agonizing it must have been for him to not have his own children in school during these turbulent war times. 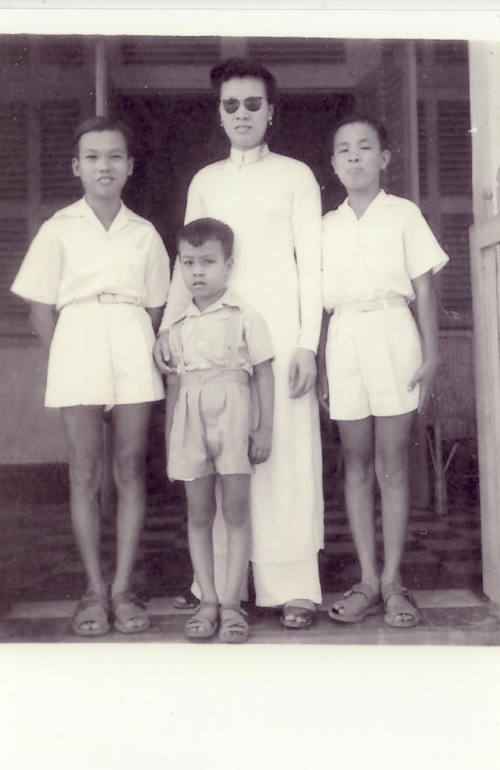 Luckily and unluckily, home schooling took on a new meaning in my grandfather’s house, and neither my father nor Chú Phán had any trouble succeeding once they were back in school full-time by 1950. My dad was around 9 at this point. They’re not kidding when they recall that my grandfather was strict; we’ve all known this. 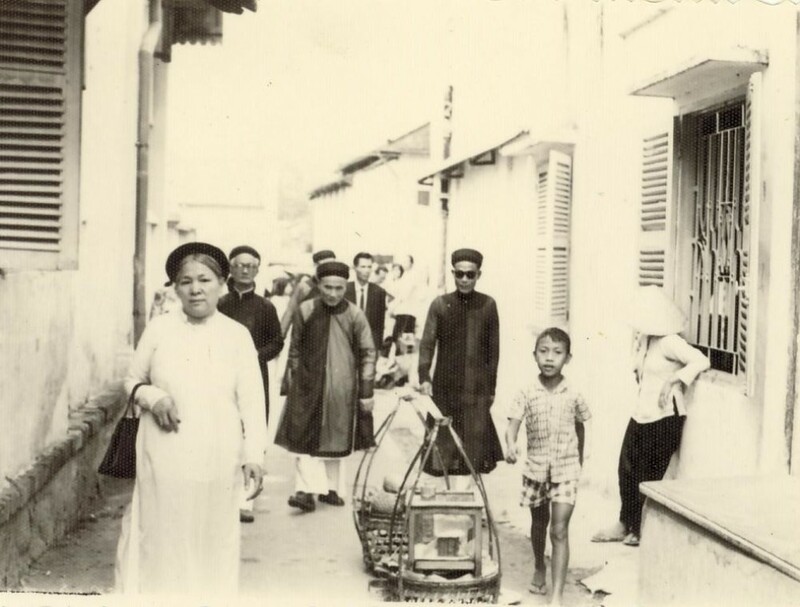 By 1955, Ông nội was nearing retirement age; his wife had just passed; their only daughter, Bác Đán, went off to find a job in another town to help the family; their older son was away; and their two teenaged sons had to learn to cook and care for the family that now shared cramped quarters in a small alley in Saigon. I can’t speak for them, but I know these trying times must have broken their spirits many times over. But in adversity my father’s bond to my uncle grew stronger, and even the distance brought on by their eventual scholarships to study abroad (my father in America and my uncle in Australia) did not break that tie. The fact that both of them ended up in education and teaching pleased my grandfather tremendously. The sacrifices shouldered by all allowed the tradition of teaching to survive in yet another generation. In 1969 Chú Phán moved from Australia to Canada with his new wife and began his teaching post in Ontario. 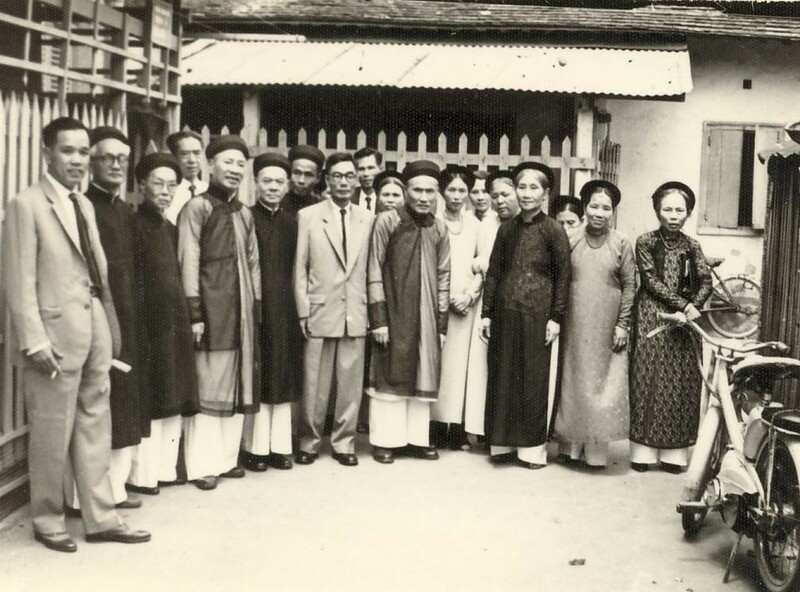 At this point, well into his retirement, Ông Nội continued to translate and annotate many works of literature from Chinese script to Vietnamese and some of these translated works were published and used by schools. Some of his final works were never published, however, due to the evacuation in April 1975 when Saigon fell. 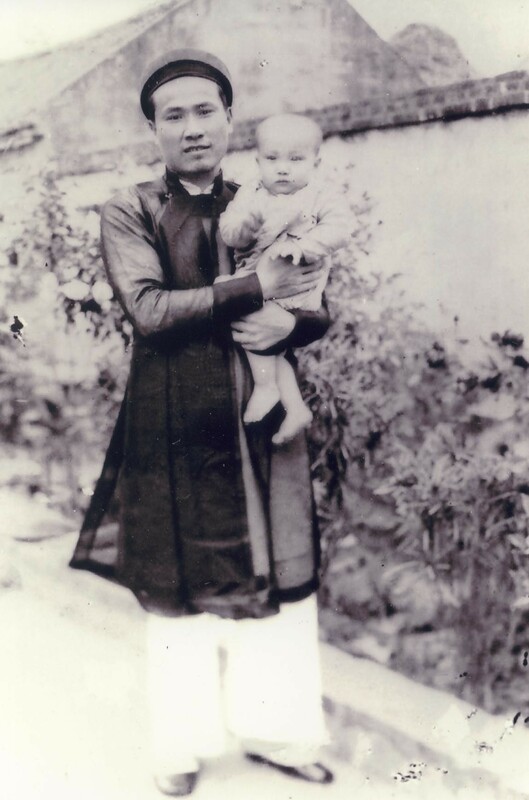 These few days in April can’t be told here, but suffice it to say, my grandfather escaped with his youngest son, Chú Thang, to a refugee camp. 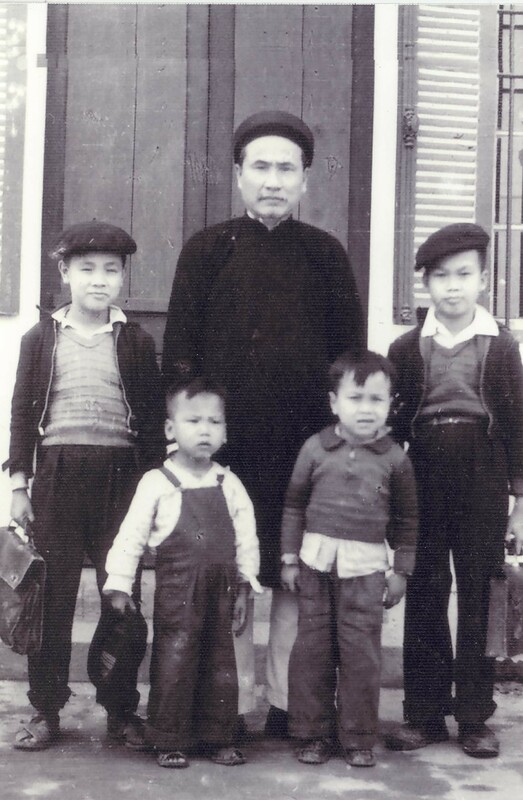 And it wasn’t until 1976 that Chú Phán could finally sponsor them to live with him in Canada. Sometimes it’s funny how life works out; the fact that Chú Phán remained abroad, in spite of a lot of guilt, allowed an opportunity in inopportune times. 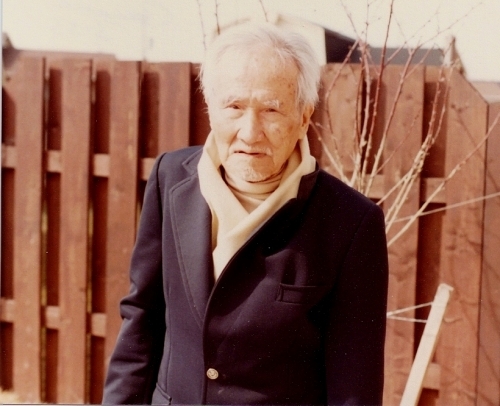 By now, Ông Nội was 80 years old, badly vision impaired, and painfully unable to cope with the brutal Canadian winters. As Chú Phán recounted, it was by a miracle that he found an old copy of one of the many versions of Truyện Kiều that my grandfather had sent him as a gift when he was studying abroad. In these battered pages my grandfather found a new reason for living. He clung to the book like a lifeline and pored over every verse, reading and rereading night and day, and for the next six years dedicated himself to the 570 pages that now make up that blog. Imagine if the Internet had been around then so that he could have found solace in Vietnamese publications online. But perhaps had it not been for the desperation for any Vietnamese writings his final work would never have materialized. It is just a shame that he had no way of knowing how technology could now immortalize his lifetime of learning through something as mundane yet fantastic as a blog. 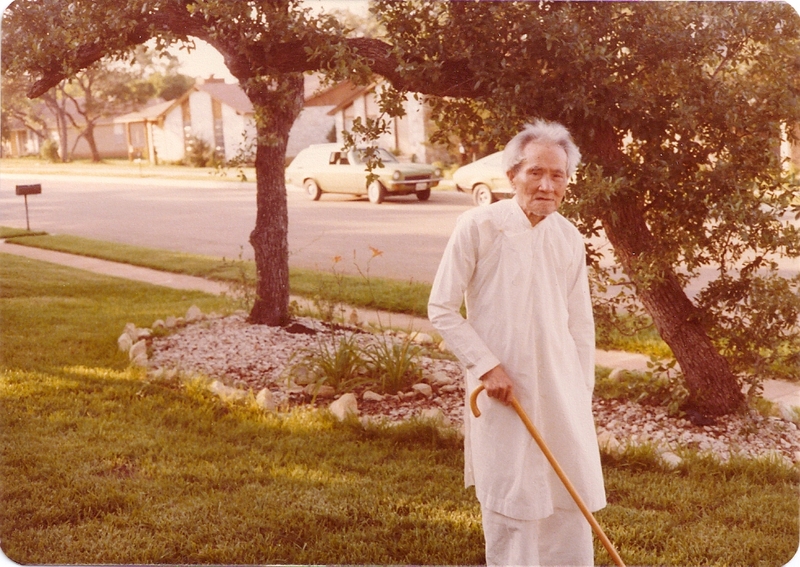 I never got to meet the revered teacher, father, or scholar that was my grandfather. Instead I met a frail, gentle man at the end of his 93-years journey on this earth when he came to live with us in San Antonio in the late 70s. The Texas heat was more forgiving than the Canadian cold, but by now Ông Nội was being physically punished by stomach ulcers. Though his body was weak, his mind was strong. In the quiet moments where he tried–and I’m ashamed to say in vain–to pass on his teachings to me, or anyone, who would sit still with him, I didn’t hear it all. I listened politely but I wish I had heard it all. Instead my mind was wandering on its own when he spoke. I wish hindsight had happened in reverse so that I could have hung on to his every word. That is the sadness that lingers around me, tinged with enormous regret, whenever I think about those years in Texas before he finally moved back to Canada so that Chú Thang, who was now a doctor, could care for him till his final day. The problem with regret is that it always shows up unannounced and overstays its welcome. 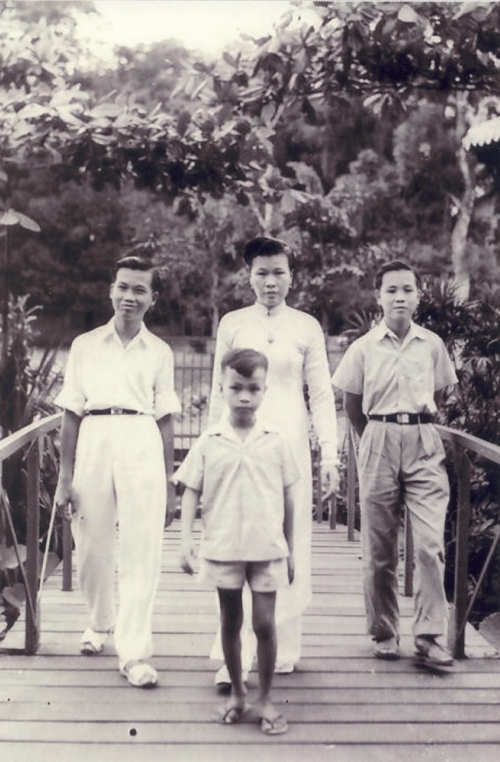 But just as the words in that book gave my grandfather a second shot, I thank Chú Phán and my dad for publishing my grandfather’s life work at the blog–it’s my second chance to listen. It will probably take me the rest of my life to read it enough times so that I could understand it all, but this time, I will hear everything. bonjour, Kim! Il me fait plaisir de recevoir vos messages ici. Bien sur votre anglais est bien meilleur que mon francais, lol! if you need any ideas or feedback on how to match clothes, please feel free to ask them here at my blog or find me on instagram. Bonne journee!! Firstly i want to say sorry that i will not be very good in English as i am French, of-course Vietnamese French. I found it out your blog by searching styles of white pants in linen. And honestly, i recognize that you have a very good taste in fashion. I love wearing nice dress, i love to have my own style between French women but sometimes i don’t know how to mix them-tops and pants, color and style… thank you for sharing your images, your ideas in fashion! I will be back here often to look for others…. Have a nice day! Hi Kate! it’s always a treat to find VN shopaholics on tpf, lol! wonderful to see you here!! ^Thưa bác, thank you very much for your comment. 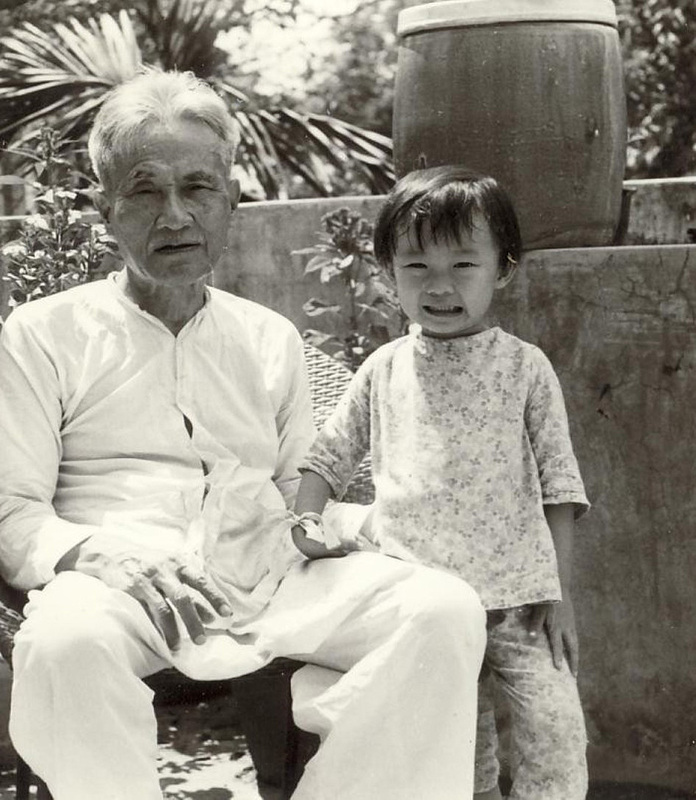 I wish my grandfather were alive so he could see the incredible response his work on The Tale of Kieu has been receiving. Your English is excellent; I wish my Vietnamese were better. Cháu xin chân thành cảm tạ những cảm tình ưu ái bác đã dành cho cháu và gia đình họ Đàm. 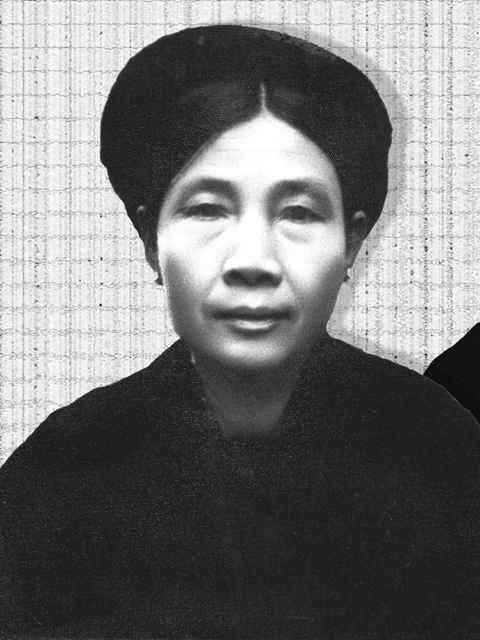 Kính chúc bác luôn được an khang. Your writing is so good and impressive. I am an old man and learning how to write in English. I wish I could write like you. I went to highschool in VN back in the early 60s, back then some of my friends got to learn The Tale of Kieu, but I didn’t have the opportunity to do that. Now living in the U.S. 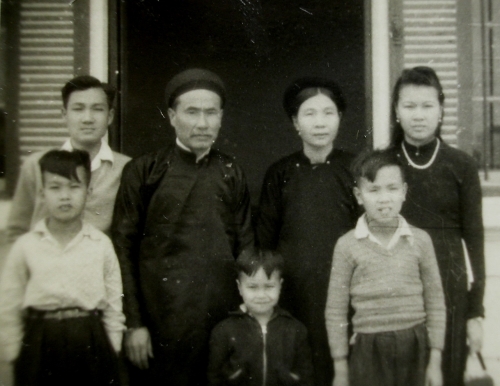 I came across your website and Kieu’s story, and the much needed annotation done by your grandfather. This is the most beautiful gift from your family to the Vietnamese people. I thank you and your family very much. God bless you. Em biet den blog cua chi qua TPF (funny but the world is small). Cau chuyen nay cua chi ve Ong Noi rat cam dong va dang tu hao. hi Millie! OMG i just emailed you–so glad you found me here! I came across this today and truly loved reading about your grandfather. I got to know both of your parents when I was teaching in DISD–they are true teachers and linguists. Very much like your grandfather. Also loved reading about your love for fashion–like totally. People should have taken notes about the outfits we wore when we went to the Starck Club and Deep Ellum before it was even Deep Ellum. Life is exciting, fun–sounds like you’re enjoying it! Chào em! I am so thrilled to see your comment (your English is VERY good by the way). Due to the wonderful response I’ve been getting from these personal stories I hope to share more in the future! PS: Em nhắc về Hà Nội làm chị nhớ nước quá! I love to read your blog on travel and fashion, but love it even more when come across the story of your root. I can see the tradition, I can see the value of love, family and of life itself in the stories that you told, and would love to hear it more. I’ve never seen my grandparents (both sides) as they died long before I was born and only see their photos at the altar. Thus I dont have any memories of them to recall. I’m very touched to see your pictures. Very nice to “meet” you. From Mai Anh in Hanoi. By the way, I think you are about my older sister’s age and I’m ten years younger. Em chao chi.